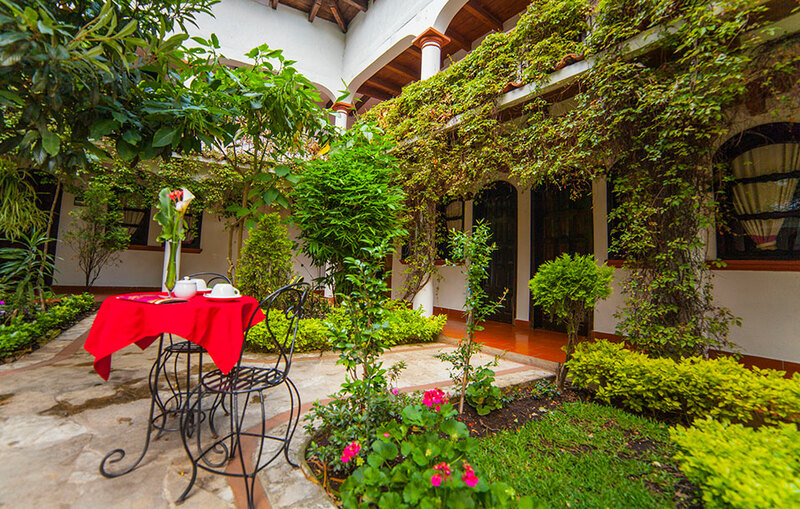 The Jovel Hotel not only offers extraordinary rates, but because of its location, it is a strategic point to start your adventure through Chiapas, In Jovel hotel we work with the prestigious travel agency Jovel Travel which has a wide range of tourist attractions available to visit in the Region, so you’ll be able to see archaeological zones, natural wonders and indigenous Towns of the mountains of Chiapas. 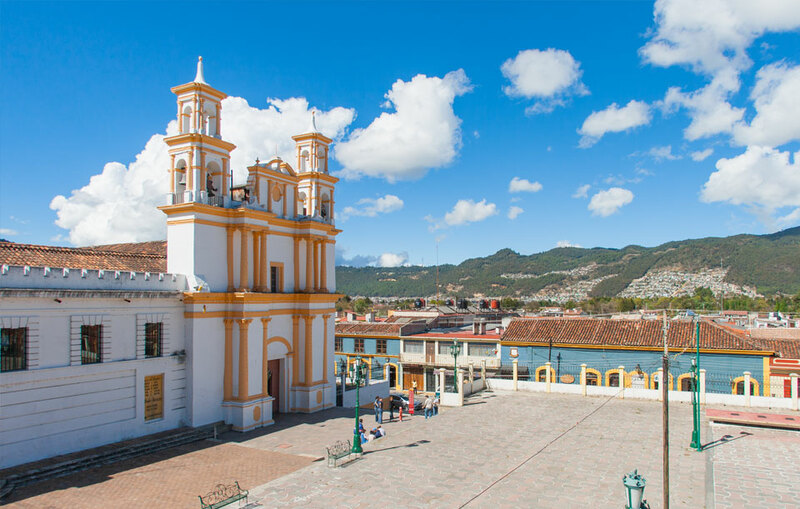 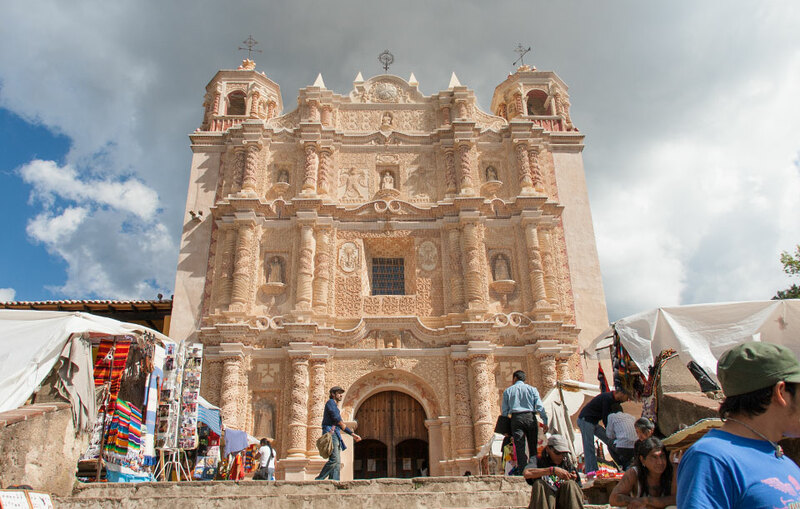 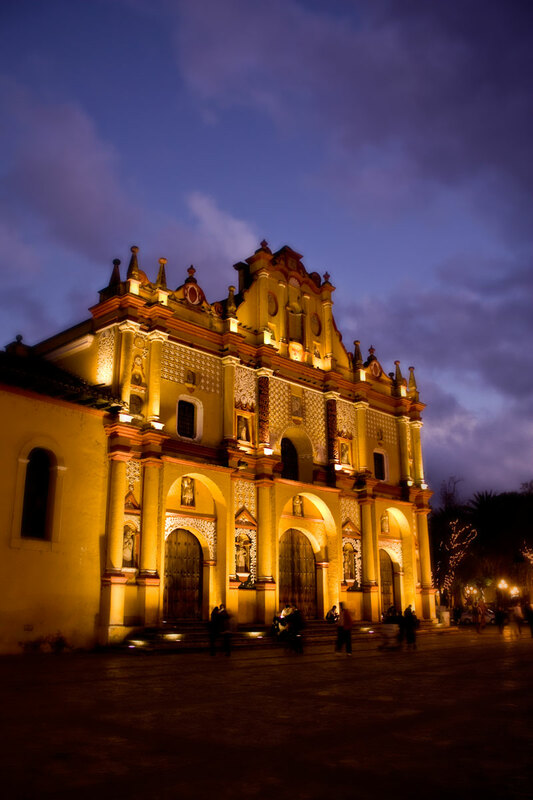 San Cristóbal de las casas, is a city located in a mountainous region of the state of Chiapas known as Los Altos, the colonial architecture of the city and its intense cultural life are tourist attractions that captivate thousands of tourists year after year. 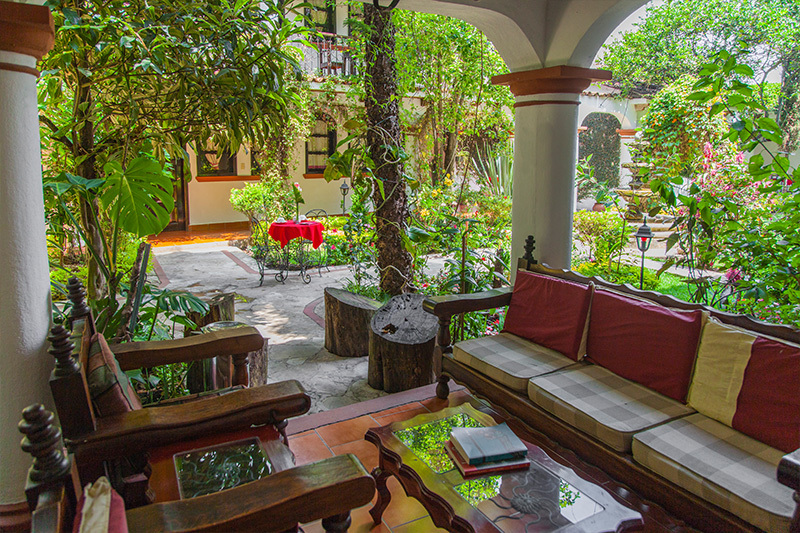 Jovel Hotel is located just a few blocks from the historic center and in an old house of the XVII century, remodeled and equipped to offer 3-star lodging services, breakfast restaurant and a large garden. 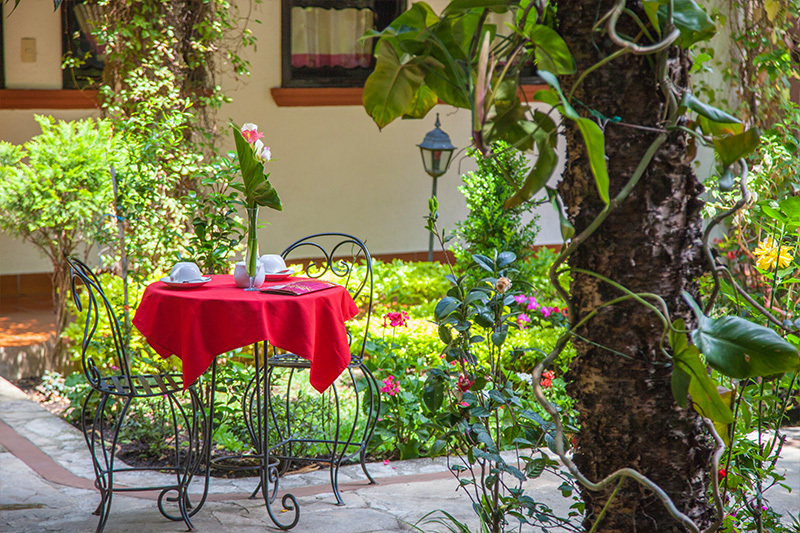 Hotel Jovel is a cozy resting place located two blocks from the main tourist walkways of San Cristóbal de Las Casas. 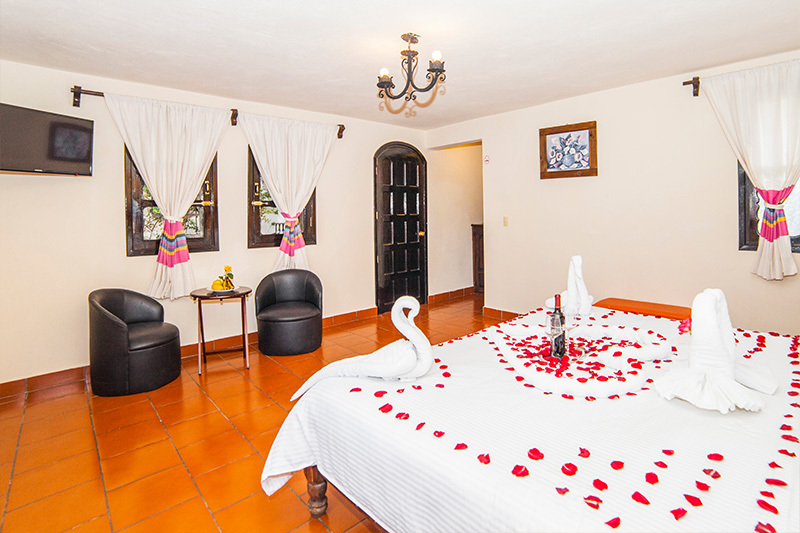 The rooms of Jovel Hotel have everything to satisfy the tourist of pleasure or business, we have 4 types of rooms ready to pamper you or your family, all equipped with complimentary amenities, LCD TV, high speed Internet WIFI and an incredible view of our gardens. 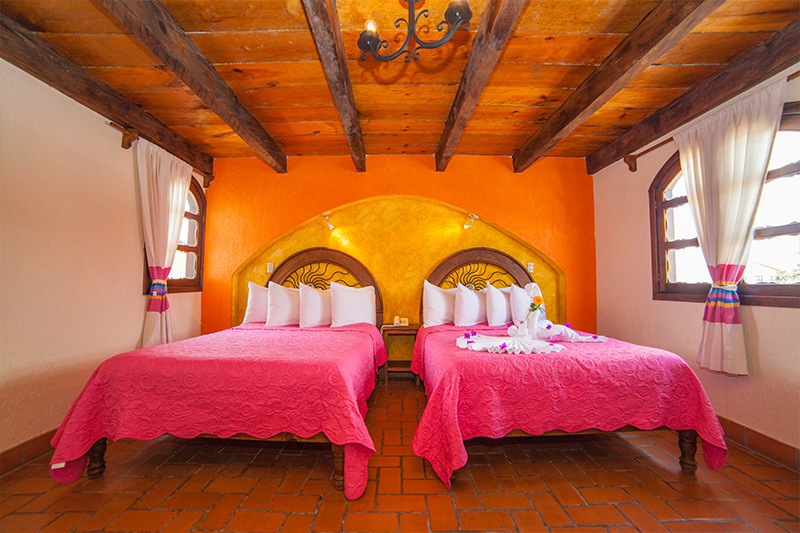 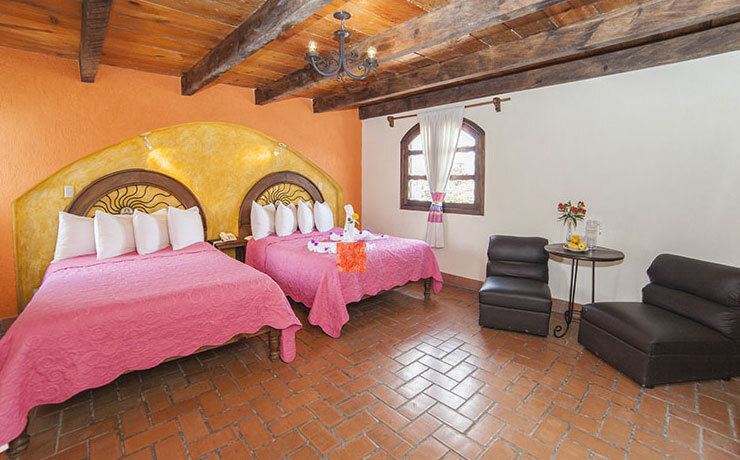 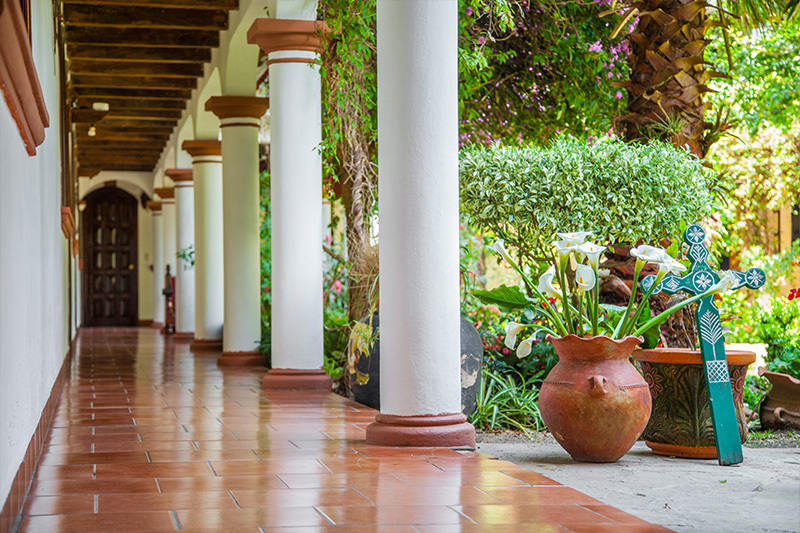 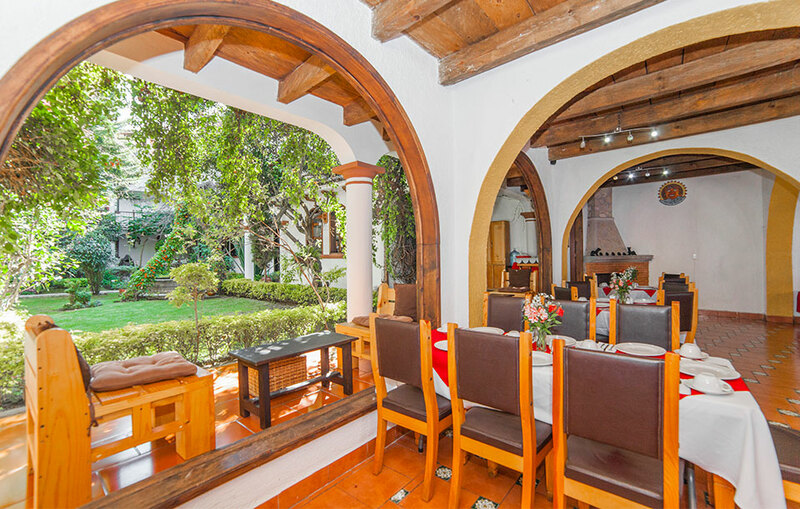 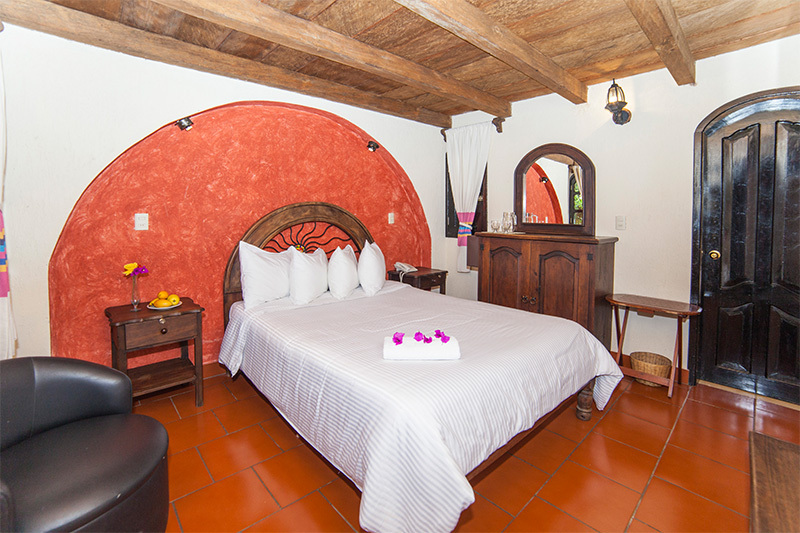 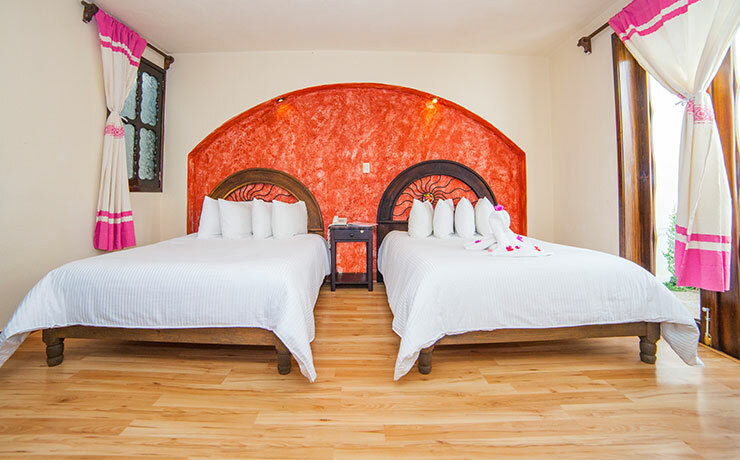 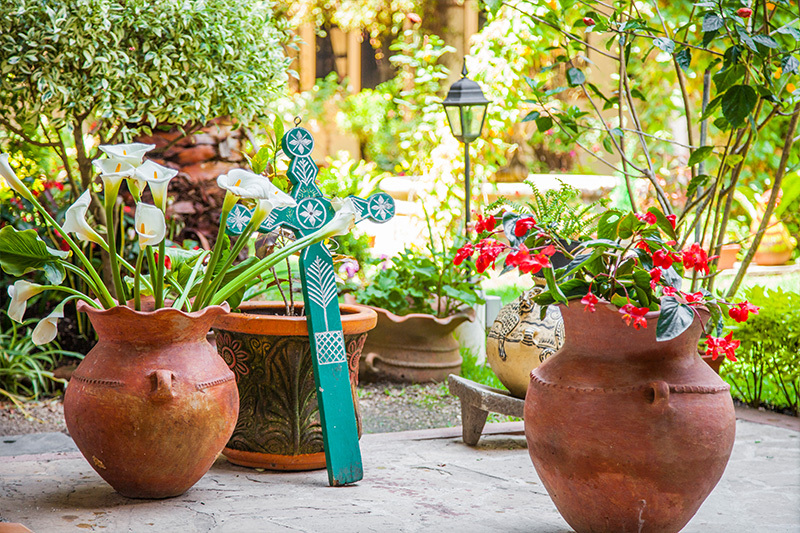 our rooms are a charm in San Cristóbal de las Casas. 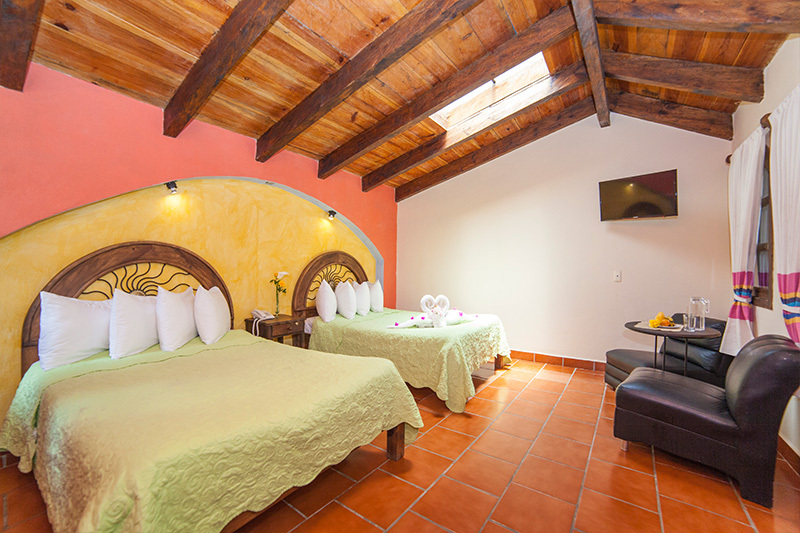 Our standard suite counts with a double bed and ample spaces to spend restful nights. 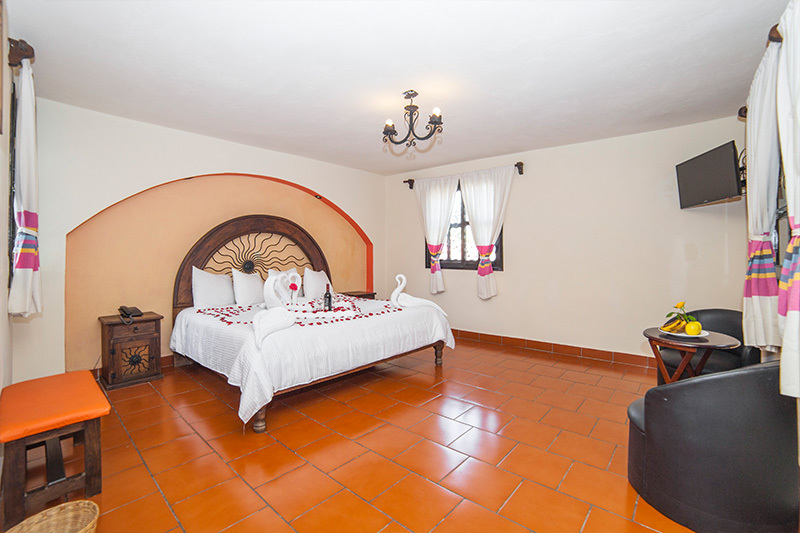 This room counts with two marriage beds for a maximum of 3 guests, its distribution and good lighting will leave you captivated. 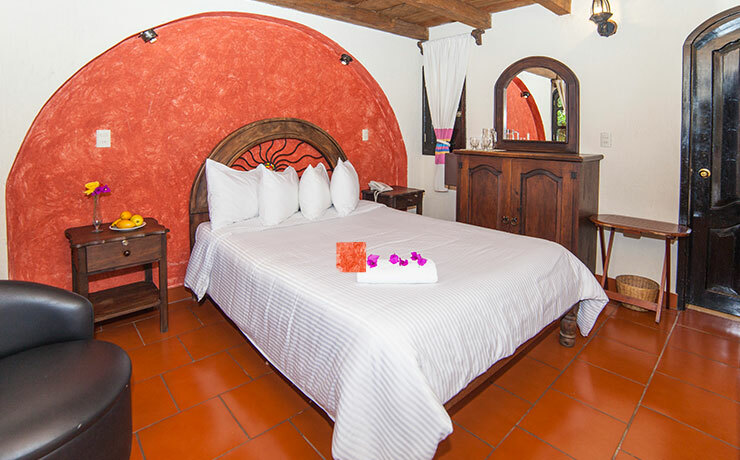 Designed especially for groups or big families, our quadruple room has two marriage beds and a small breakfast nook. 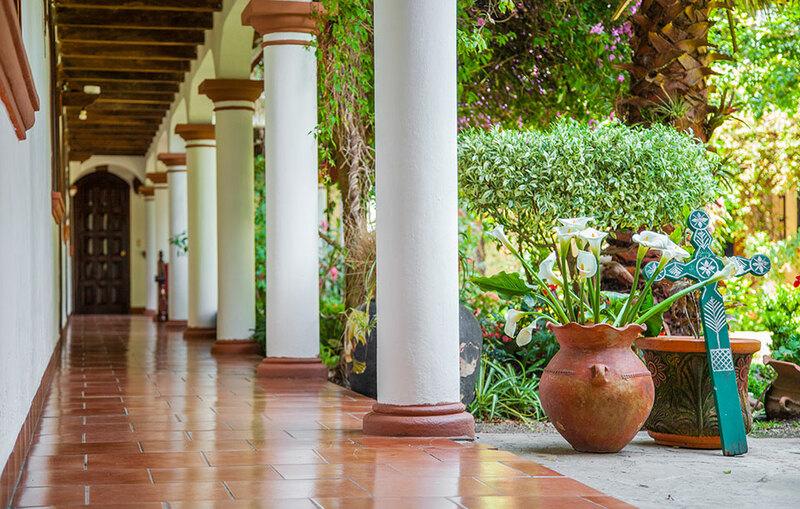 The Jovel Hotel not only offers extraordinary rates, but because of its location, it is a strategic point to start your adventure through Chiapas.